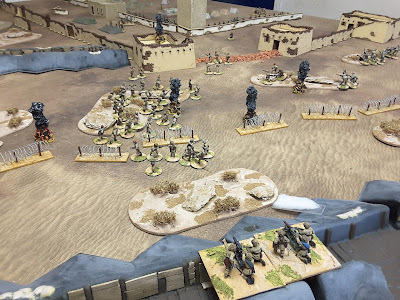 Christmas at Yarkshire Gamer is Mesopotamia time, each year we try and get the WW1 in the East collection out and recreate the battles which occurred in modern day Iraq. 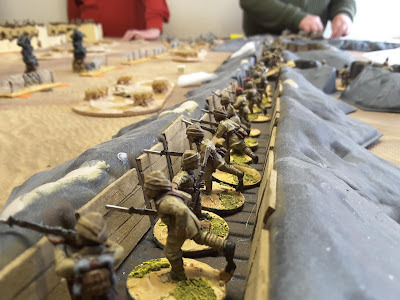 So far we have followed the British and Empire Forces (most troops in the "British" army where actually from the Indian Sub Continent) up the river Tigris through various adventures up to the Battle of Ctesphion where they fell short of the glittering prize that is Bagdad. 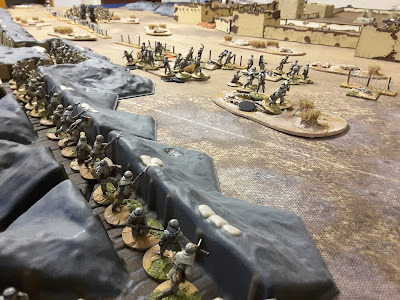 If you want to follow our previous Mesopotamian excursions click on the 28mm WW1 in the East tab on the right of this post. 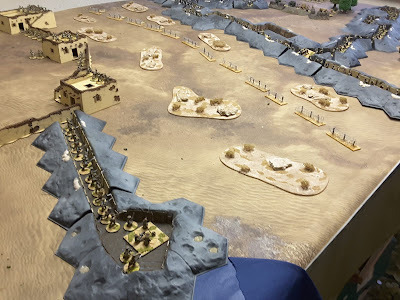 Last year we refought the little known Action at Umm al Tubul which saw the British fighting off a Turkish force as they were falling back to the town of Kut. From there the Turkish holed up the Empire troops in a lengthy siege. 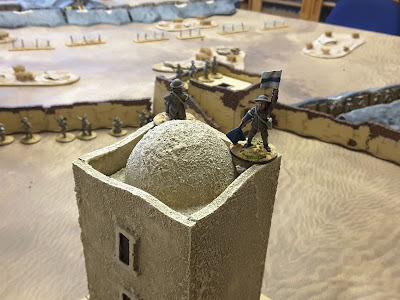 I wanted to recreate the siege in some way and was reading the Official British History of the Campaign (Vol 2) when I stumbled across a short account of a Turkish attack on an ancient fort at the corner of Kit on Xmas Eve 1915, what a perfect setting for our own festive game. Below is the map of the action, I used the top right of the sketch as the guide for our tabletop recreation. 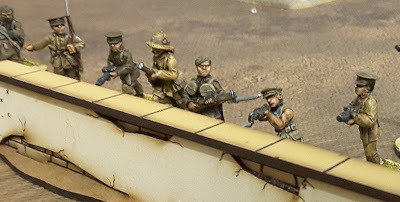 Figures are 28mm rules are If The Lord Spares Us by toofatlardies. View from the Tigris to the Turkish position. The Turkish Force was now under command of the German General Von der Goltz and he had determined that Kut would be dealt with by way of a siege, trenches were dug and the general tedium of such warfare began. There were still just over 9,000 Empire troops in the City and they would prove impossible to supply over the coming months. However there was one serious assault made during the 24th December into the early hours of Xmas Day. 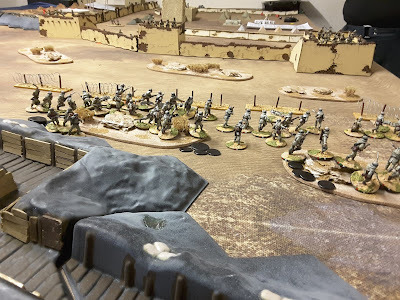 The German Commander was away in Kermanshah at the time of the attack and you have to think that the Turkish Officers took advantage of this to enable the attack, while the Cats away ! The initial attack occurred around 11am and after a bombardment by the Turkish guns large sections of the mud brick fort walls had collapsed. 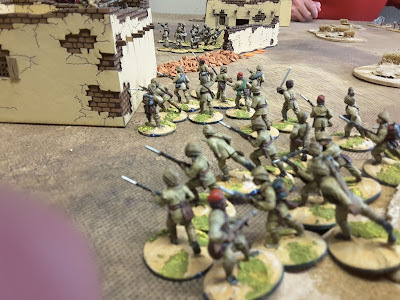 Troops emerged from the trenches but after a hard fight the mixed Indian and Ox Bucks Lt Infantry defenders saw off the attack. 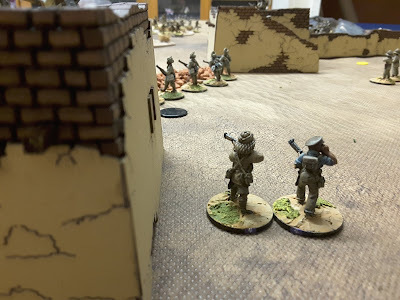 The afternoon was relatively quiet but at 8pm as the moon was rising behind the clouds the second attack and our game began. Waiting for the Signal for the attack to begin. It's 8pm on the 24th December 2015, an important day for some, but today it's important for the Turkish Armed Forces. Following the Battle at Ctesphion we have pushed the Empire troops back again and again. The Empire has stopped retreating and has decided to stand against us here at the ancient town of Kut Al Amara. 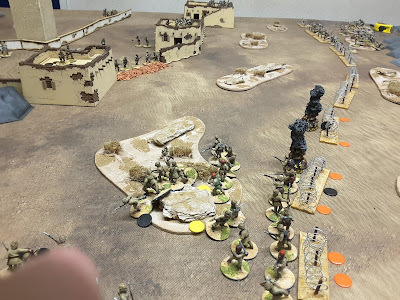 The German advisors have told us to sit back and lay siege to Kut however they are away from the area at the moment and this is our chance to show the Germans how good our troops are by storming forward. The area chosen for our attack is an ancient mud brick walled Fort on the North Eastern side of the town adjacent to the river. 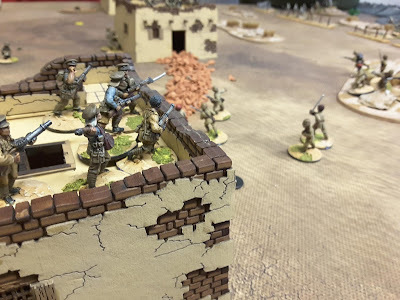 An attack earlier in the day was repulsed but it is now 7.55pm and our troops are ready to attack again, the first wave goes over the top at 8pm. The attack on the right stalls at the wire under heavy fire from the Fort. Troops – for the first wave the two battalions that go over the top will have two cards in the deck and activate half the unit on each card. There are 4 waves to the attack, move each unit into position and when both units are in place they will go over the top, no delays. 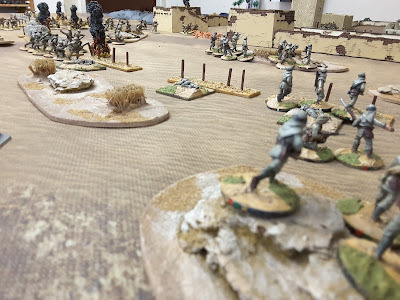 You have 3 Battalions of Arabs in Turkish Service each with a 2 Fig HQ and 4 x 6 figure Company and 1 regular Turkish Infantry Battalion as above but with 8 figure companies in the right hand side of your trenches. In the left side of the trenches there are 4 regular Turkish Infantry Battalions with 8 figure companies. All have 1 MG bases. 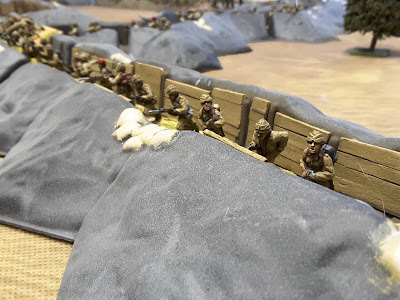 The MG bases for the front line units are set up in the trench and can support the attack, the other MG bases are at the rear of the battalions. 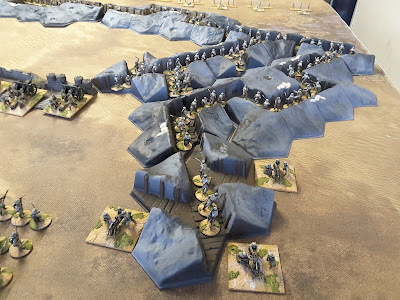 On set up the first battalions are in the front line trench waiting to go over the top, the other battalions are in single file in communication trenches and each unit should take 5 or more turns to get into the front line depending on the luck of the draw with the cards. Night – it is a dark moonlit night, all direct firing die is at a -2d6 modifier unless the target is lit by a flare. Flares – each Art piece can fire 1 flare per turn with a -1d6 on any other firing or fire two flares and not fire normally. Pick spot at random, place yellow chit, roll 1d10 and random, flare covers 12". Flares are removed on the drawing of the Artillery card. Units are visible if flare covers them or is 6" behind, no blinding. 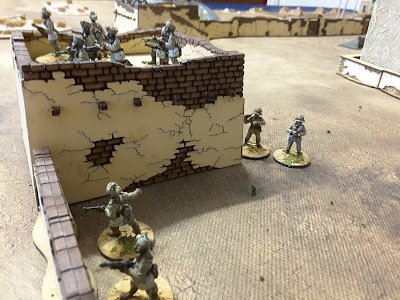 Fort Walls – are mud brick, they are vulnerable to Artillery, 6 kills will knock down 1 6" section. Barb Wire – Each section is 4pts strong and is impassable when un damaged. 2 pts damage and it becomes bad going. 1 Art kill or 1 Section stationary next to wire removes 1 pt. Counts as soft cover. Turkish Artillery – must check comms if they want to change target / ammo, 2d6 8 or more to change. Your Commander is classed as Young Turk - d6 – 1 command pips, 2 signal bases Your Turkish Infantry are Morale 2. Tea old boy, Yarkshire of course. It's 8pm on the 24th December 2015, the day before Xmas and one was hoping for a bit of peace on Earth but old Johnny Turk has different ideas. General Townsend has decided to stand against the Turks here at Kut Al Amara and await a relief column which is heading North from Basra. You are in Command of an ancient mud brick walled Fort on the North Eastern side of the town adjacent to the river. An attack earlier in the day was repulsed but it is now 7.55pm and there is activity in the Turkish trenches. Troops - the two battalions will have two cards in the deck and activate half the unit on each card. 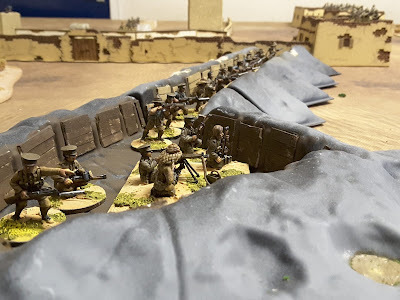 You have one British Battalion the Ox Bucks Lt Infantry with a 2 Fig HQ and 4 x 8 Fig companies and an MG base, set up two companies and the MG in the trenches between the Fort and the river and two Companies by the Observation Tower. 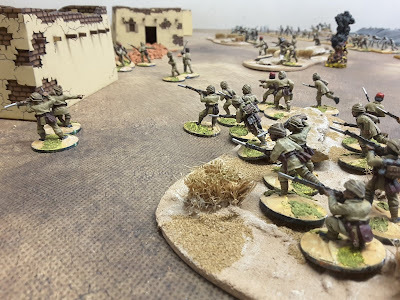 There is also an Indian Battalion the 119th with the same organisation as the Ox Bucks but with an extra MG base set up in the Fort Walls and bastions. 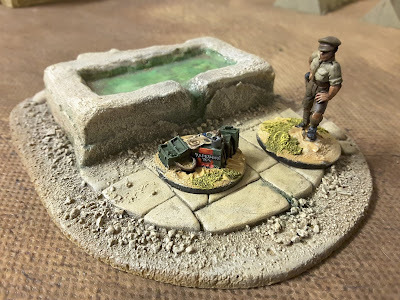 You are Supported by 1 Artillery Base (4 dice), one Indian Mountain Gun (3 dice) and a Jam Jar chucker, all set up in the Fort. Night – it is a dark moonlit night, all direct firing die is on a -2d6 modifier unless the target is lit by a flare. Flares – each Art piece can fire 1 flare per turn with a -1d6 on any other firing or fire two flares. Pick spot at random, place yellow chit, roll 1d10 and random, flare covers 12". Flares are removed on the drawing of the Artillery card. Units are visible if flare covers them or is 6" behind, no blinding. Your Jam Jar chucker will only fire flares. Fort Walls – are mud brick, they are vulnerable to Artillery. You have dug a line of trenches behind them you are that confident of their strength. 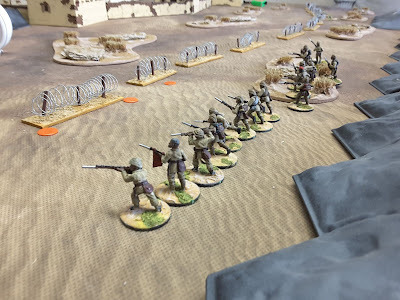 Your Commander is classed as Eton - d6 command pips, 2 signal bases Your British Infantry are Morale 0, Your Indian Troops 2, you may raise your Indian to 1 if you split up a British section and have at least 2 British figures with an Indian Section. A close run thing, the smoke and dust made targets hard to see even with the aid of flares. For nearly an hour the troops of both sides traded hand thrown bombs around the stockades and rubble of the Fort. Casualties were heavy on both sides and around 11pm a reinforcement of British Pioneers arrived just in time for the gallant Turkish attack to be halted. A third and final attack was made around 2.30 am but it didn't gain any momentum and the attack was called off. Estimates of Turkish losses are around 2,000 whilst the Empire troops lost 315. From the pictures above you can see that the first wave especially on the Turkish right got bogged down under heavy fire, most of the damage done by the Machine Guns on the Fort Wall, the attack on the left fared a little better having the advantage of being further away and therefore under less effective fire. The focus of the game changed when the breach in the wall occurred, the Empire had a real hole to fill ! 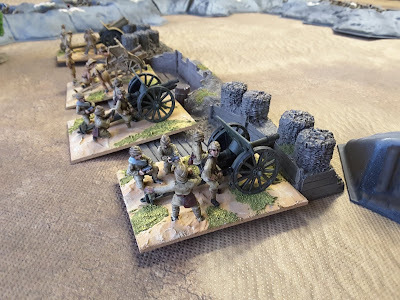 Artillery fire drove the Indian defenders away from that section of the wall and the Oxfords who had split up a unit to boost Indian morale had to reconstitute it to plug the gap. 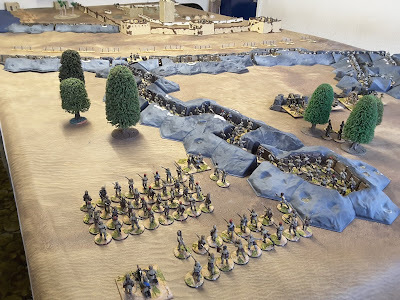 The Turkish attack gravitated towards the gap the British in their trenches were able to cause casualties on the Turks as they past their front but not enough to stop them. Further bombardment from the Turkish Artillery brought down another section of wall and it looked like the Fort would fall. 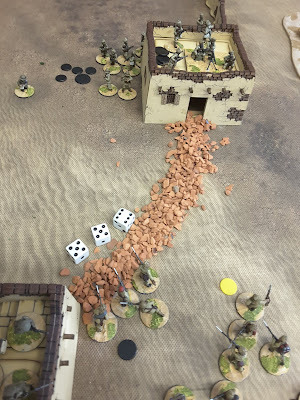 But then some rather spectacular dice throwing and some fortunate unit activation wiped out a large portion of the 2nd Turkish wave as it tried to enter the Fort. 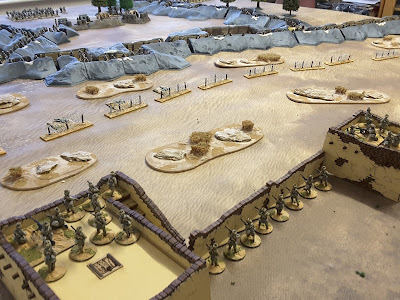 The Turkish Player had managed to get all their Mgs onto the trench line and the British Commander decided to withdraw to the inner line of defences in the Fort. 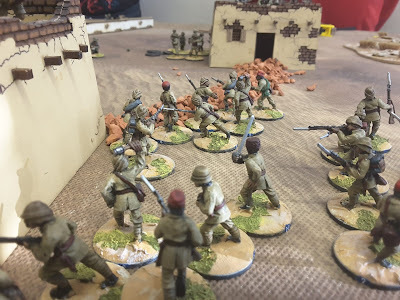 We played a couple more turns but the players decided that the game was done, the Turkish Troops had secured the outer layer of the Fort but felt that getting inside would not be practicable taking into account the number of casualties they would need to take to do so. 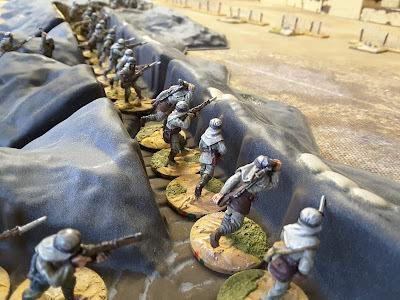 Personally I thought the game had a bit more in it, the British would soon have to make big choices about abandoning their trenches which would have released another line of attack for the Turks. 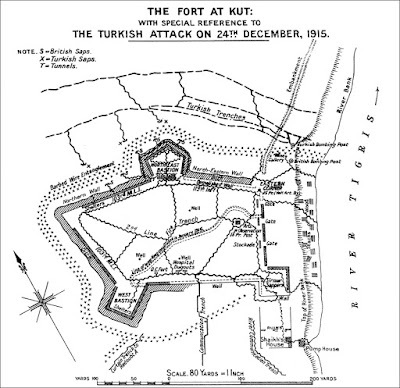 The Turkish Artillery would be less effective inside the Fort and the accuracy of the British Artillery would increase. It would have been a close run thing. Unfortunately there had been a few cancellations of sessions due to short numbers and when a game has been on the table for a while it can be hard to keep it going. 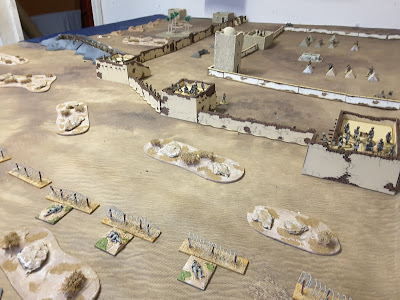 So the Mesopotamia collection leaves the table for another year, next Xmas we will start on the attempts to break the siege. Linkrex.net is one of the new URL shortener sites.You can trust it.It is paying and is a legit site.It offers high CPM rate.You can earn money by sing up to linkrex and shorten your URL link and paste it anywhere.You can paste it in your website or blog.You can paste it into social media networking sites like facebook, twitter or google plus etc. You will be paid whenever anyone will click on that shorten a link.You can earn more than $15 for 1000 views.You can withdraw your amount when it reaches $5.Another way of earning from this site is to refer other people.You can earn 25% as a referral commission. Shrinkearn.com is one of the best and most trusted sites from our 30 highest paying URL shortener list.It is also one of the old URL shortener sites.You just have to sign up in the shrinkearn.com website. Then you can shorten your URL and can put that URL to your website, blog or any other social networking sites. Whenever any visitor will click your shortener URL link you will get some amount for that click.The payout rates from Shrinkearn.com is very high.You can earn $20 for 1000 views.Visitor has to stay only for 5 seconds on the publisher site and then can click on skip button to go to the requesting site. 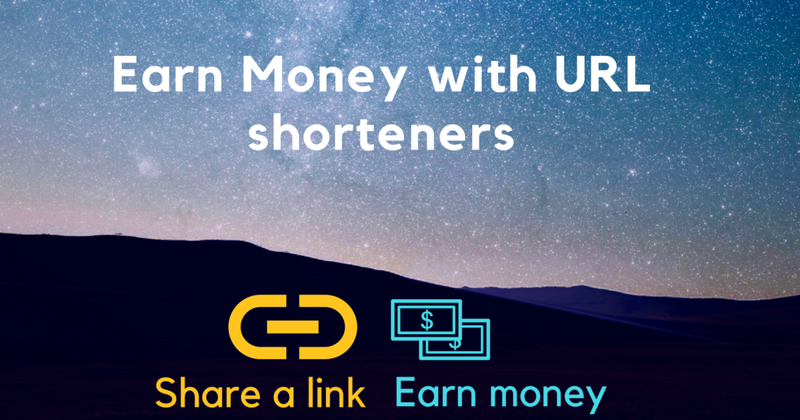 Oke.io provides you an opportunity to earn money online by shortening URLs. Oke.io is a very friendly URL Shortener Service as it enables you to earn money by shortening and sharing URLs easily. Oke.io can pay you anywhere from $5 to $10 for your US, UK, and Canada visitors, whereas for the rest of the world the CPM will not be less than $2. You can sign up by using your email. The minimum payout is $5, and the payment is made via PayPal. 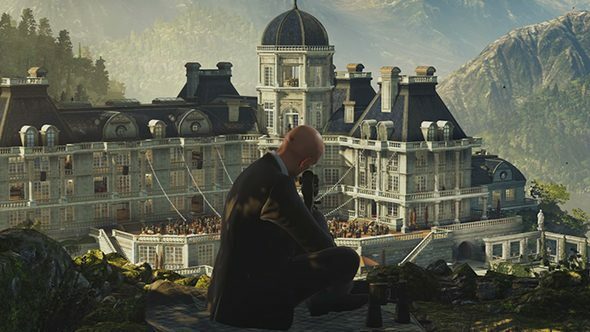 So before you start download the files for the games please read this steps to install the game. 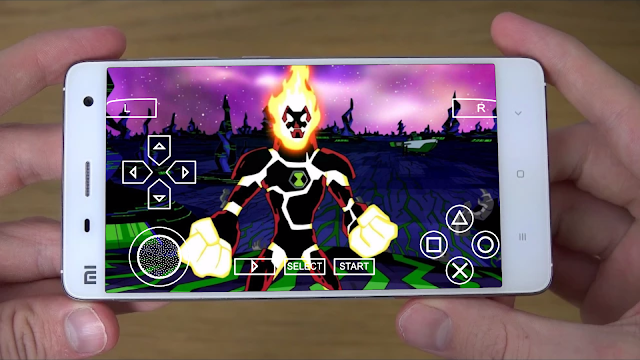 🔲First Download ppsspp Emulator or Ben 10 rar File. 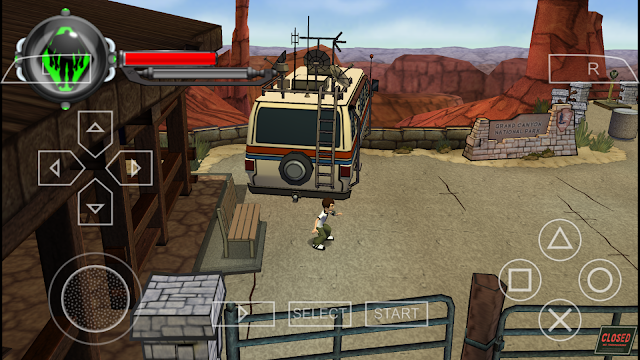 🔲Afer Extract Ben 10 game file With zarchiver Apk. 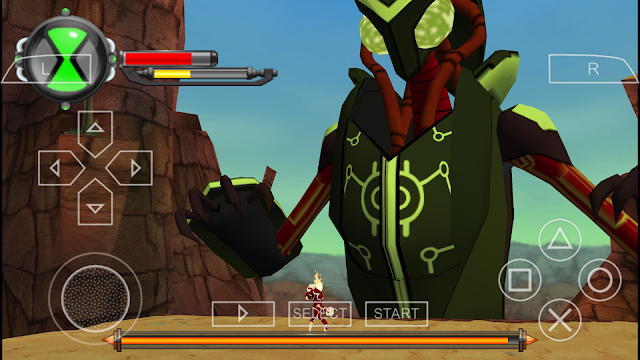 🔲Then open ppsspp apk And search Ben 10 Extract File and Finally Play Ben 10 game. Sorry for the late update, everyone! Hope you all had a good holiday weekend and a funny April Fool's day! 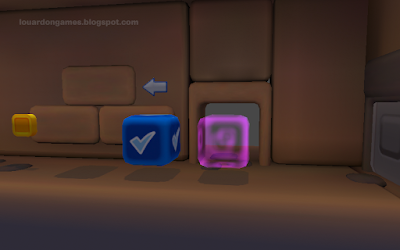 Louard's game design sounding board and home of the Pro's and Con's reviews. SUPER HERO PACK FOR SA! 1. First You'll Need Your Gta SA Game & Es File Explorer. 3. 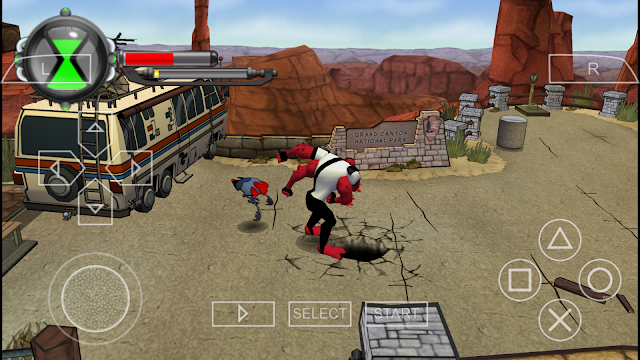 After Renaming The com.rockstargames.gtasa Folder Uninstall The Original Apk Of The Game. 4. After Above Steps DOWNLOAD The Below 2 Files. 7. After Extraction. 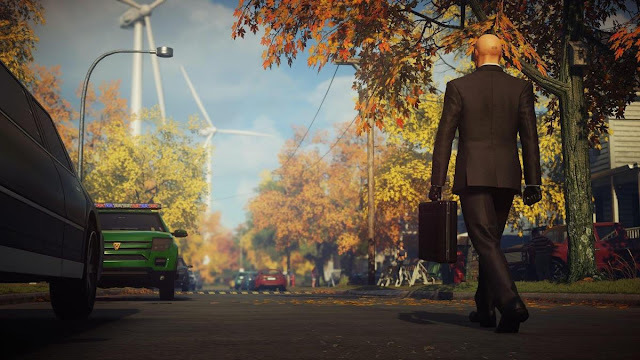 Open Your Game. 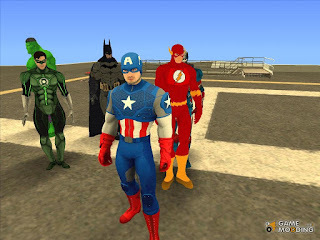 While Playing Swipe Your Screen From Top To Bottom Then Select The Skin Selector Option And Enjoy Your SUPERHEROES! WATCH VIDEO TUTORIAL IF YOU HAVE DOUBT!